Elle Burns is a former slave with a passion for justice and an eidetic memory. 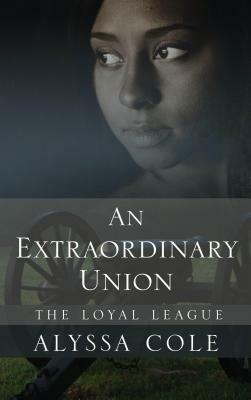 Trading in her life of freedom in Massachusetts, she returns to the indignity of slavery in the South--to spy for the Union Army. Malcolm McCall is a detective for Pinkerton's Secret Service. Subterfuge is his calling, but he's facing his deadliest mission yet--risking his life to infiltrate a Rebel enclave in Virginia. Two undercover agents who share a common cause--and an undeniable attraction--Malcolm and Elle join forces when they discover a plot that could turn the tide of the war in the Confederacy's favor. Caught in a tightening web of wartime intrigue, and fighting a fiery and forbidden love, Malcolm and Elle must make their boldest move to preserve the Union at any cost--even if it means losing each other . . .
Alyssa Cole is a science editor, pop culture nerd, and romance junkie who recently moved to the Caribbean and occasionally returns to her fast‑paced NYC life. Her writing has been featured in publications including Vulture (New York Magazine's entertainment blog), Heroes and Heartbreakers, and The Toast. When she's not busy writing, traveling, and learning French, she can be found watching anime with her real‑life romance hero or tending to her herd of pets.